Self-discipline is key to well-being ??? While I agree with the above paragraph I wonder about the word “Self-discipline” in the title. If you read any authors such as Robert Fritz you will understand that the difference between self-discipline and self-determination is subtle but profound. When we try to use will power to overcome something, we are continually locked in a battle with what we don't want. In order to have lasting change we must be creative and determine what it is we do want. We have to ask, what do we want our lives to look like and then, work towards that goal. Fritz uses the terms "structural conflict" and “structural tension" to describe these two models. Structural conflict or will power manipulation bounces you back and forth in the arena of what you do not want. Structural tension on the other hand uses the creative process to move you towards that vision of what you do want to create in your life. The paradigm shift is tremendous. For information on how to create “Structural Tension” that propels you towards a goal of health and well being, contact us! We offer much more than weight loss ... We are committed to coaching you to "Take Shape for Life!" Call us today for information on our proven Program. We'll get you started and help you succeed. ... What have you got to lose??? "The Weight of the Nation" asks several questions in this section. Is the tendency to gain weight and become obese something we inherit? Yes. 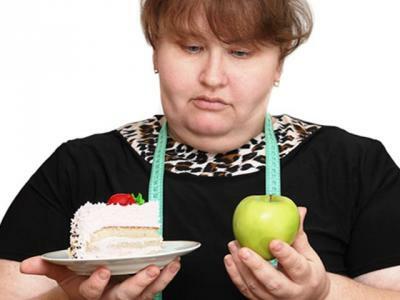 Is weight gain or weight loss about lifestyle choices? Yes. Henry Ford said, "Whether you believe you can, or believe you can't, you are right." Though many of us have felt helpless when it comes to our body size, we don't have to stay "stuck." How do we maneuver through an "obesigenic" world, bombarded by fat-food, grab and go goodies vs the unspoken standard that insists only stick thin models are beautiful? We hope our blog is helpful as we look at these issues, problems, solutions, and commit to building a healthier, happier world. Given that obesity is being recognized as an epidemic, how do we cope NOW? When we are carrying excess weight, the feeling of heaviness come from many sources. Clients report that their pants feel tight, knees are painful, and chairs seem rickety ... We see our reflections in mirrors, windows, and in someone's glance ... We hear our slim friends complain about their weight, our gorgeous kids say, "I'm fat, I'm ugly," and we hear our own inner, negative self-talk. And, we cannot ignore the data, our lab reports, or our doctor's dire warnings. So, we must make informed decisions, gird up our courage to move forward, find support, and care for ourselves gently along the way. We are here to help! Contact us when you're ready to re-invent yourself and want a health coach to provide guidance, accountability, and encouragement. Here's a recent article from Spark People on boosting your body image. Click here to read more and let me know what you think ... whats working for you? Polly. The "Habits of Dis-Ease" aren't always easy to spot ... they seem tiny and insignificant. Like a slice of pie, a helping of Aunt Susie's potato salad, or nightly popcorn with butter while watching TV ... the habits of disease have become part of our normal lives. Habits of "dis-ease" get confused with habits of "ease." We love the ease in which that bite of pie fits on the fork, awakens the palate and slides down with a cup of tea and chat with a friend. We like the "ease" that comes with complementing Aunt Susie by having a second helping of her famous salad. And, we love the "ease" of putting our feet up with a whole bowl of hot, aromatic popcorn ... it's supposed to be a "healthy snack" right? Wrong!!! Let's delete the habits of disease and establish the Habits of Health together, Contact us and we'll make a plan together! There should not be foods that nourish and foods that take away health, but there are. "Weight of the Nation" examines the link between the food we eat and the increasing incidence of disease and obesity. Choosing nutritionally dense meals may not always be easy in the society in which we live today. However, understanding and consuming healthy foods will lead to weight normalization and health improvement. Our team of Health Coaches is committed to helping clients, friends, and communities prevent obesity, lose excess weight, and improve our collective health, well-being, and productivity. Note to Self: Success begins with Happiness, not the other way around! Working on a Saturday could be a real drag except that it means connecting and feeling so inspired hearing your stories! Happy Secret to Better Work on Ted Talks with Shawn Achor. "This is changing my whole life!" Being on Program is not just about losing weight ... it's about finding our selves, conquering our cravings, and getting on a path to a sustainable future of happiness and health! Call us today, we'll be happy to be your personal Health Coach and get you on a plan to success!! One of the most effective ways to reduce knee pain, as we get older, is reduce that excess weight we tend to accumulate over the years. A recent article in Reuters Health News found that loosing weight for obese individuals may not make the knee pain go away, but can decrease and make the pain much more manageable, giving those who suffer, a better quality of life. Even if surgery may be required to fix those aching knees, getting that excess weight off will insure a better prospect of successful recovery. Having coached many clients that have been to see their orthopedic surgeon, Health Coach Resource is here to assist you. We know it not only shedding those excess pounds. 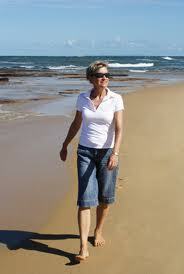 As health coaches, we assist our clients to develop a lifestyle that will promote well being. We are here to help, when you are ready to start. Robert Fritz tells us that..."One way to support your creative process is to support the creative process of others. Root for them, wish for their success, celebrate their victories, empathize with their setbacks, and egg them on." There is joy, sometimes there is pain and there is always something that we are learning. This is life and the more we encourage and support each other, the easier it will be to make it through those tough times and the more we will enjoy those milestones when reaching goals. Always feel free to contact us for support or questions and allow us to help celebrate your victories. Polly and Greg, along with the rest of the Health Coach Resource team, are on your side. This promotion of the documentary, Forks Over Knives came across my desk this morning. Even if you do not choose to be a vegetarian or vegan, the message still applies. Dr Anderson, in his book on the Habits of Health, says that we have to "stop, challenge and choose." What we choose to put, or not put, in our mouths does make a difference. Think about the choices you have made and how they've contributed to your current circumstance. What serves you? What harms you? Remember, we have the ability to make a different choice right now! Call us, we can help you make a plan to get you where you want to go!! It depends on what kind of program you are following. I am such a "Nuts and Berries" person that understanding why I needed to avoid fruits and berries during my weight loss experience was difficult. If you are doing a a calorie deprivation plan, fruits are a good choice. They are filling and very nutritious. If you are using a fat-burning program, fruits, because of their high carbohydrate content, are avoided temporarily as you tap into, use and burn through your own stored fats. Click here to read more on fat-burning and Click here to learn more about our program of weight loss and health gain. Contact me today to get started!! !